Please contact us if you need help with any pulmonary problems. Our respiratory systems are a critical part of our overall health, maintaining the health of the respiratory system and treating respiratory issues are of great importance. Suffering from chronic lung diseases can be difficult to deal with on a daily basis. Doing basic tasks such as taking care of the laundry, walking up the stairs or dealing with a personal pet can become exhausting. Diseases such as emphysema, bronchitis, COPD and others require watchful care and a focus on a personal treatment plan specific to one’s needs. We treat respiratory problems at Steamboat Medical and have testing available to help with diagnosis as well. 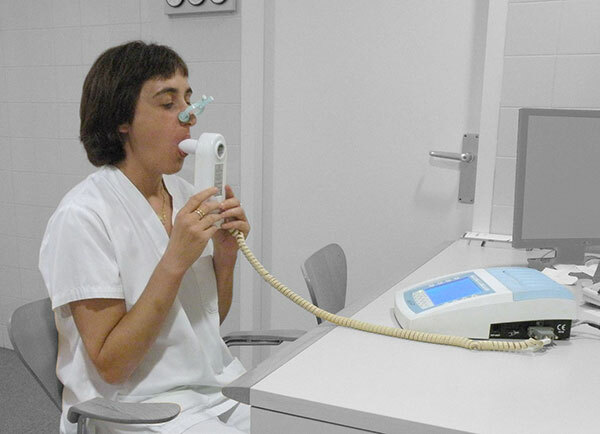 Through careful discussions with patients, physical exam and testing or pulmonary function through spirometry, we are able to help diagnose and treat pulmonary issues. We work to minimize symptoms, and teach patients about disease processes and best treatments available. Steamboat Medical is a comprehensive clinic specializing in acute and primary care for the entire family. It is our mission to deliver the best care possible to our patients. We know that health is much more than simply the absence of disease. Our physicians focus on comprehensive healthcare through regular preventative care visits, routine screening recommendations and healthy lifestyle guidance. © Steamboat Medical | All Rights Reserved.